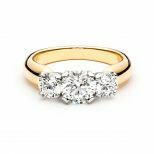 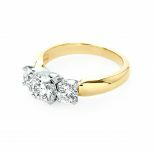 18kt yellow gold and platinum three stone diamond ring. 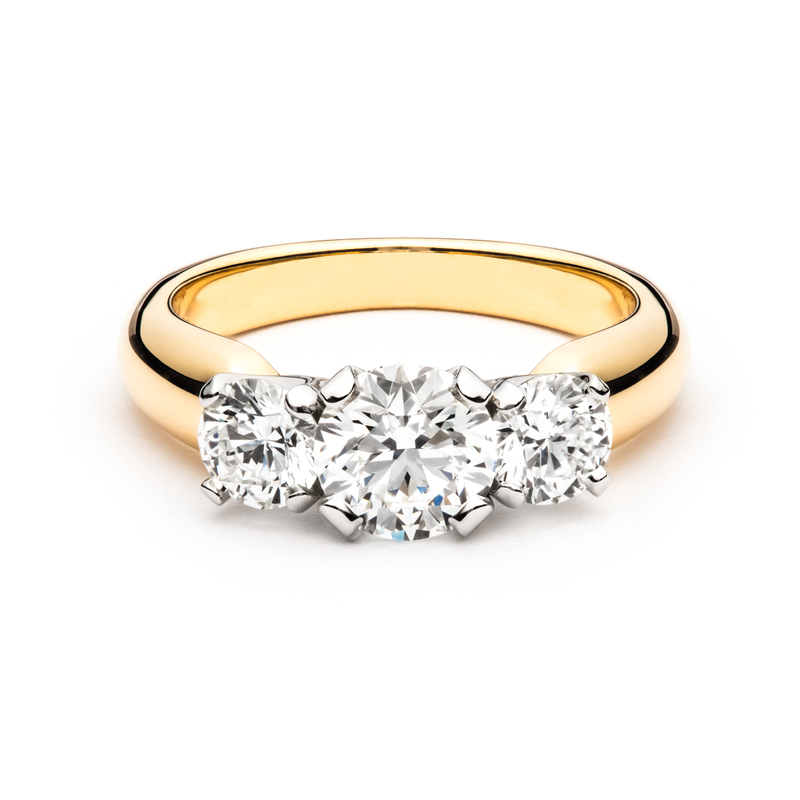 The center round brilliant diamond is 1.00ct, J in color and VS2 in clarity. 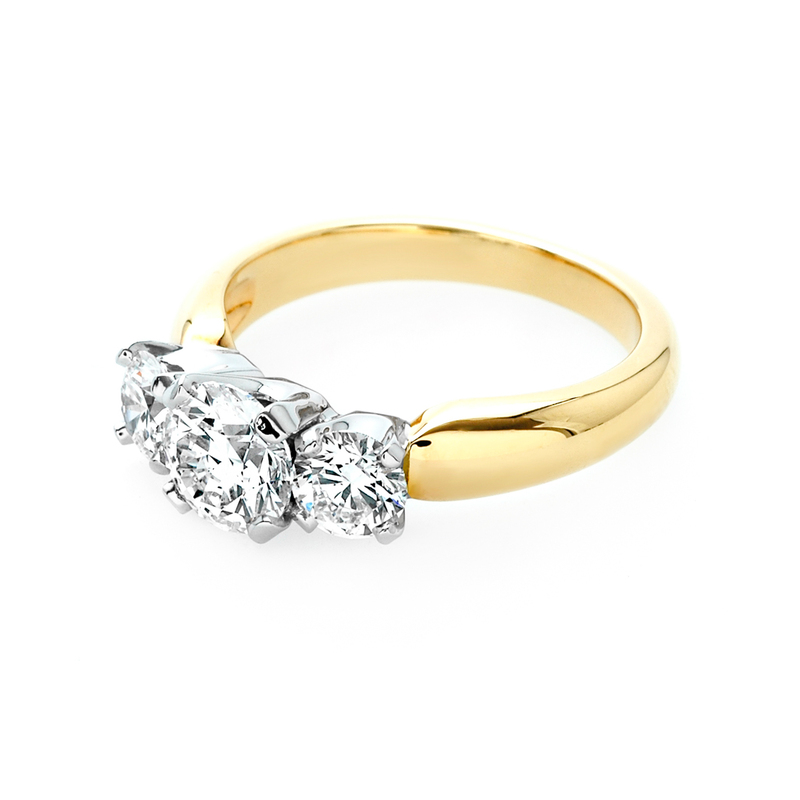 The two side diamonds are 0.78ct total weight, I in color and VS2 in clarity.